Home Tags Posts tagged with "special needs"
Human-read audiobooks are at the heart of my strategy to support struggling readers. Some teachers and parents are skeptical about the power of audiobooks. They ask me, “Is my child really learning when they are listening to a book read aloud?” The answer is YES! A thoughtful human narrator with the right intonation and accurate phrasing can heighten the senses of a struggling reader. I have seen children break through the unending burden of decoding words to read with ease and to comprehend what they read. I have heard children request more books just so they can hear different voices inspire them. Many of my students now score above average on the Texas STAAR. They have become independent learners who are confident and prepared. Some have made the honor roll, received certificates, and are top ten in their classes, all great achievements. A few years ago, I decided to dive into digital learning. Our school did not have funding for technology devices, but I managed to get my hands on two Kindles. At that time, Kindles did not support Learning Ally, but a media specialist knew a workaround to get the devices to work. I handed the devices to two elementary students with stories they would never be able to read in print. Just like that, a nurturing and caring human voice made a real emotional connection with my students. Success! They understood the story. You could see real passion on their faces. This was a game-changer. I needed more devices, so I made a video of students (Fight Song) who were excited about reading audio books and telling their story in their own words. This video was a hit with our principal and school board and we got more devices. Teachers cannot always find the time to develop extracurricular activities that ignite reading passion, so I appreciate 33&Me and The Great Reading Games. In these games, a digital leaderboard highlights students’ reading activity against other U.S. schools competing for cash and prizes. The leaderboard became a cheerleader for us. It fueled the flame of reading. My students love the excitement of seeing the number of pages and books they read. This quickens their pace. They read in class, at home, and in their spare time. They listen and learn. They retain information. They discuss stories with friends. Even if we were the poorest district in Texas, my students won prizes! Research says that you must practice reading fluency consistently for 20 minutes each day. Using audiobooks, my students could easily do that. They enjoyed accessing a wide range of stories on and above their grade level. They used the mobile reading app to see highlighted words, hear correct vocabulary pronunciation, and feel the excitement of the story through the narrator’s tone. With the free Learning Ally app, they can take notes for tests, build larger vocabularies, explore new genres, enjoy classic literature, and entertain themselves with popular series. As a teacher, I can do cool reading activities with audiobooks, like read with a hero, partner reading, and read with a pet. Come on teachers! Put audiobooks into your learning mix and see struggling students ease into a story with a greater comfort level. They will understand the content. They will feel empowered. Their self-esteem and reading stamina will improve. They will develop a passion for reading and the academic rewards you have been longing for them to achieve will become a reality. This is a guest blog by Nelda Reyes. Nelda is a Dyslexia/Leading Interventionist at DeZavala Elementary School in San Marcos CISD in San Marcos, Texas. Are you struggling to enhance accessibility with Chromebooks in your classroom? 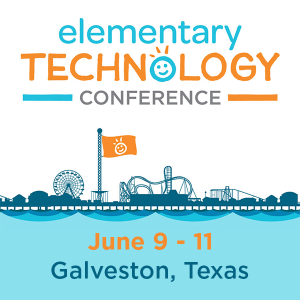 Allow TCEA to showcase several tools and resources. 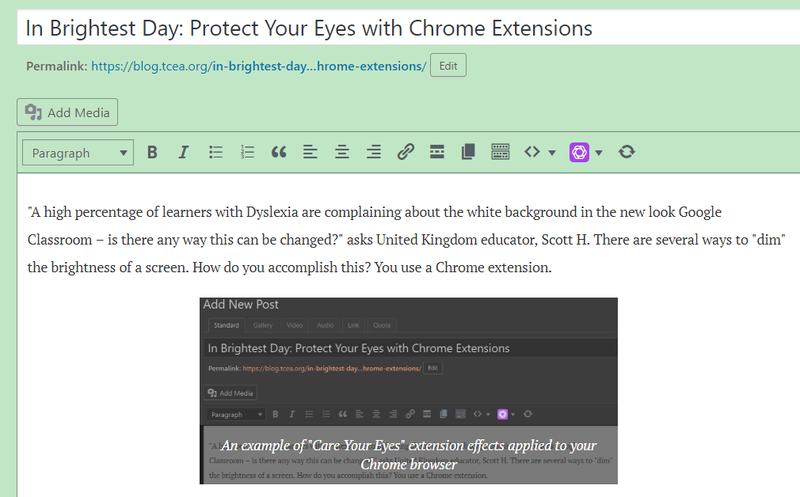 In this blog entry, you will find a few accessibility add-ons and extensions for Chromebooks. Find a list of Chrome apps and extensions for special needs grouped by topic. Special thanks to Eric Curts for sharing his wonderful ideas. Picto4Me – Allows you to create, edit, download, and play pictographic communication boards. Simple Blocker – This tool helps students to stay focused on their work by blocking distracting websites. The user can choose the sites to block, how long to block them, and include optional password protection. 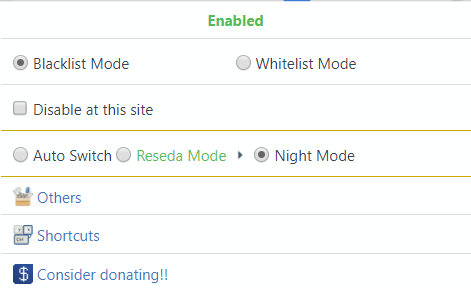 uBlock Origin – A simple but powerful ad-blocking extension that removes distracting ads from websites. Move It – This extension can be set to periodically stop students working and have them do something physical. Research supports movement during study to improve retention. OpenDyslexic – This extension overrides all fonts on web pages with the OpenDyslexic font and formats pages to be more easily readable. High Contrast – This tool can make webpages easier to read by changing the colors to increase contrast, invert the colors, or switch to grayscale. Readline – Although designed as a speed reading tool, you can adjust the speed to the lowest setting and use this extension to easily read text one word at a time. 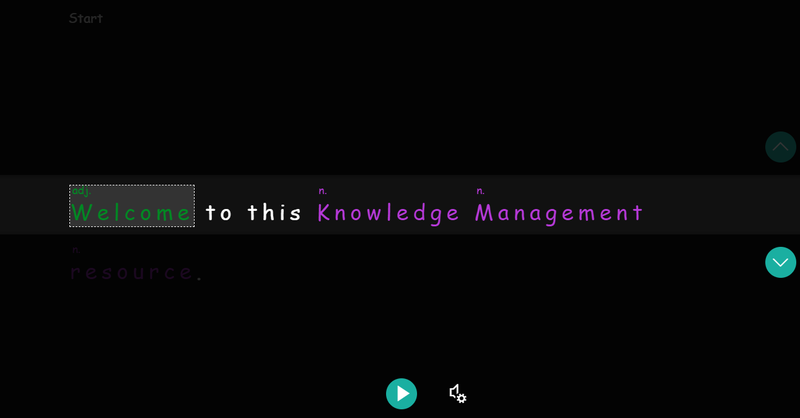 Visor– This screen overlay tool darkens the page except for a horizontal band you can move up and down as you read, helping the student focus. 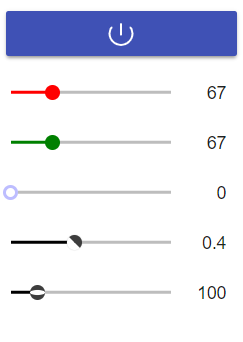 Color Enhancer – For people who are partially color-blind, this tool can help adjust and improve webpage colors. SummarizeThis – Copy and paste any text into the app to get a summarized version of the most important information. sentiSum – Get a summarized version of any web page. Google Dictionary – Double-click any word on a web page to get a pop-up with the definition and audible pronunciation. Books That Grow – Books That Grow is a leveled reading app that contains eBooks that are set for each user’s reading ability. This list is just a few of the many Chrome add-ons that can enhance accessibility in your classroom. Be sure to see another list of helpful add-ons that enhance readability and reading comprehension. Make sure to register for Get Your Google On webinars each month where we showcase additional ways to utilize the power of G Suite for learning. If you discover other apps and extensions that work with the Chrome browser to help students with accessibility, please share in the Comments section below. Special education teachers encounter unique challenges on a daily basis. And each year, those challenges may fluctuate based on the students that they are assigned. 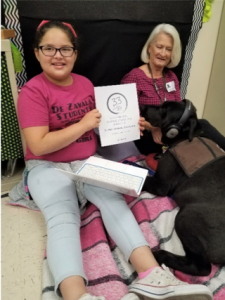 Special needs teachers not only have the task of making a difference in the lives of their own students, but also of being advocates for students that are mainstreamed and included in regular education classes. Needless to say, these teachers are an integral part of a well-balanced campus that knows every child has value and can reach their potential with the right support. As you support your students or help other teachers find appropriate resources, you might find that knowing where to look can be the first challenge. There are so many different kinds of needs, and each has a unique set of resources. I’ve trolled the Internet to see if I could help by pulling together a list of sites that you might find helpful in your search for apps. Originally, I was going to recommend a few apps and talk about them, but then I realized that I may have narrowed my field a little too much even while staying within the special needs area. Assistive Technology for Hoosiers with Disabilities – You are bound to find good resources here to choose from. Whether it is app recommendations, video tutorials, or tips on getting the most from features within various tablets, this is a great site to review and share. While here, be sure to check out their post on 6 Android Apps for Special Needs which allows you to branch off and focus on additional apps in your specific area of interest. Apps as Assistive Technology – Developed by the Maine Department of Education, there are more than 40 lists to help you find the right app (iOS or Android) to help your students. Bridging Apps – This group that works with Easter Seals has an extensive and searchable database of apps divided by age, skill, device, price, and much more. Smart Apps for Special Needs – Ron Engel and his staff review and provide good information to help you sift through all that is out there. They may not post all that frequently, but they do have a robust archive you can investigate. Be sure to look at their other specific pages to narrow down apps that are free, recommended by readers, staff picks, etc. Special Needs Apps – Though Apple and Google don’t have a category just for apps for special needs students, you can do some fancy searching to identify many. Check out these search results for iOS apps and for Android apps. If you prefer to gather your resources from a variety of folks instead of a single site, then be sure to look for the #SpEdApp hashtag on Twitter, as well as #iOSEdApp and #AndroidEd. And no app list would be complete without TCEA resources. Be sure to check out TCEA’s list of Free Must-Have Apps for Special Education. You can also refer back to a previous edition of TCEA’s TechEdge magazine on Resources for Special Learners. Current TCEA members can also join the iPad in the Classroom or the Special Needs Students group in the TCEA Social Community. The iPad group publishes daily lists of iOS apps that have gone free or on sale, and there are always special needs apps listed. The Special Needs Students group is a great place for collaborating with others to find apps to meet specific situations. And take a look at our Recommended Apps List. There’s a tab just for special needs students. Which list did you find most helpful? Do you have one that you would add to the list? Let me know by sending an email to Bruce Ellis or tweeting me. I’d love to hear your story.